Though I intended my first drink to be a social one it wasn’t meant to be. Both the friends I invited overcame from homes where alcohol was present. Since they had been allowed small glasses of wine on festive occasions, alcohol held no Mystique or Allure (the noun and transitive verb, not the headliners at Skin Cabaret.) Though I offered, they declined. They had come to amusedly watch the little awkward freshman break bad. So I drank. It wasn‘t top shelf whiskey. It didn’t go down smooth. But there was the warmth that wrapped around my face and slid down my throat. And then it hit–a chemically induced, powerful experience that masqueraded as spirituality. It was that magical alchemy that keeps an alcoholic chasing the effect for years–I felt comfortable in my own skin. 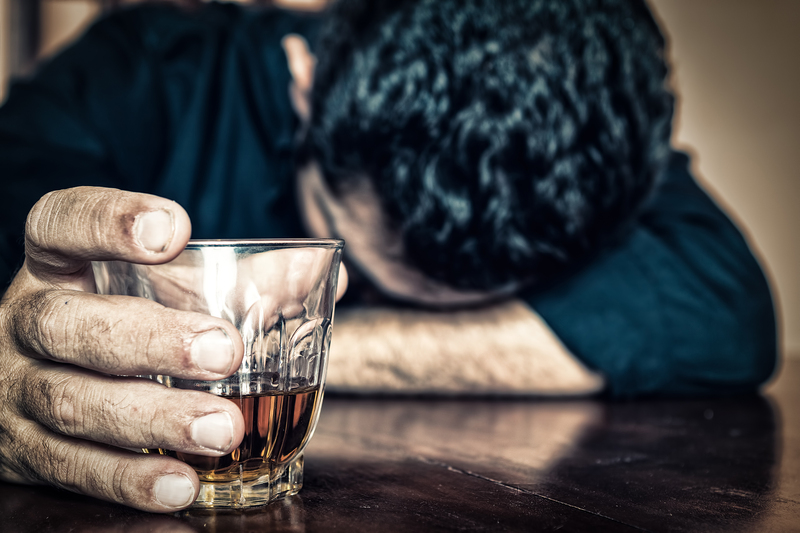 A normal drinker may never know what renders ten per-cent of the population alcoholic. The effect alcohol produces is so pronounced. A young lifetime of fears dissipated instantaneously. I was temporarily transformed into the taller, funnier, more confident self I had always longed for. It kept me going back for gulp after painful gulp until the bottle was drained. My recollection of the rest of the evening has always been a bit hazy. I was like that goldfish in a bowl. My friends didn’t engage with me; they just sat on the outside observing. I was more science experiment than comrade. could only stand in amazement. memory was having to wrestle the phone out of my hand as I apparently felt so all formidable that I was going to call a friend’s sister who needed a good scolding. You see, she had ratted us out to her mother for some forgettable offense that had gotten us restricted from using my friend’s pool for a week that past summer. I was a drunk dialer from the get go. Eventually the buzz wore off. I hid the bottle in the trash (a maneuver I’d replay over the years), staggered to bed and awoke with sharp splinters in my brain. Though in pain, I knew at one level that I had found the solution to all of life‘s problems. In twelve-step recovery they call it “euphoric recall.” The alcoholic forgets all the pain associated with problem drinking and only recalls the magical effect produced. Though liquor had, in one sitting, become my drug of choice, it was hard to come by. The schoolyard dealers tended deal in substances more illegal and more profitable. So I experimented-pot, pills and mushrooms. Though not a daily user, when I used I used with gusto. Within a year I managed to get kicked out of high school for overdosing in my driver‘s education class on a near lethal mixture of codeine and speed. I thought I was just taking a little vacation from reality. After two days of living on codeine left over from a sister’s dental procedure, a friend offered me a pick-me-up in the form of amphetamines. In drug parlance, mixing downers and uppers is known as speed balling. I wasn’t up on all that and it caught me quite unprepared. I got up from my seat when the bell rang and found that I couldn’t stop staggering sideways–a little maneuver that caught the eye of a campus narc. Parents were called and I was rushed to the ER. At the time, I didn’t see it as a substance abuse problem. I had swapped glasses for contacts, grown a few inches and actually gotten my first girlfriend. A girlfriend who had gone on a ski trip with her family, leaving me with the understandable fear that she would meet someone better. I wasn’t displaying addictive behavior I protested; I was just coping in pill form. Give me a break. No worries. The vice principal in charge of discipline suggested ... or was it demanded? … that I take my talents to a new high school. Once there, the shock of getting busted saw my desire to use mood altering substances disappear like the smoke from a snuffed candle. I was scared straight. For a few years I meandered along a relatively straight and narrow path. But those fears, those pesky fears, they eventually caught up to me and beckoned me back to the bottle.